Trust me, when you own an Android device, your phone is capable of becoming sluggish or the apps might crash often. I have seen this. But hey, we can’t blame Android alone for this, we have some apps which are poorly optimised for Android OS. I use lot of apps on my Android device (both phone & tablet) and that’s a part of my profession as well. I need to take screenshots & do reviews about them, so it’s kinda hard to avoid them. So basically I’ll have these *review* or *post-related* apps for a week and use them regularly. But sometimes my Android device won’t be really friendly with them, it starts to slow down and show poor performance, I hate that a lot. Irrespective of how many GBs (RAM) your device has, you’ll always find such issues. To avoid this, we can better find that culprit app(s) and shut them down. Or we can even find a good alternative app for that and use it instead. Below I shared the steps to find it out. For this you need to enable “Developer Options” (if you haven’t). 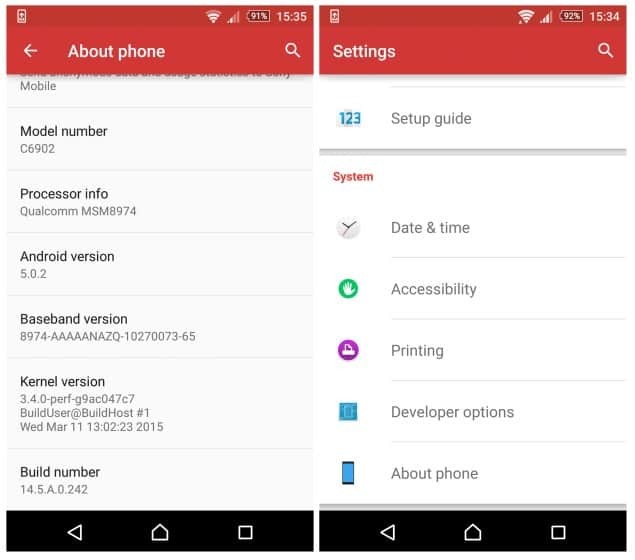 Just go to the “Settings” > “About phone” > “Build number”. Now you should be tapping on that, for like, 7 times, and then you’ll see a small popup saying “You are now a developer”. That’s it, you can see the “Developer options” under “Settings” now. Now, follow this: “Settings” > “Developer options” > “Process Stats”. In this section you can see the list of apps which are using the most memory or RAM. In other words, you can find the culprit here. This show which app slows down your Android device. I have been using Facebook’s “Messenger” excessively for the past few days. This is my major communication tool apart from WhatsApp. Nice isn’t it. 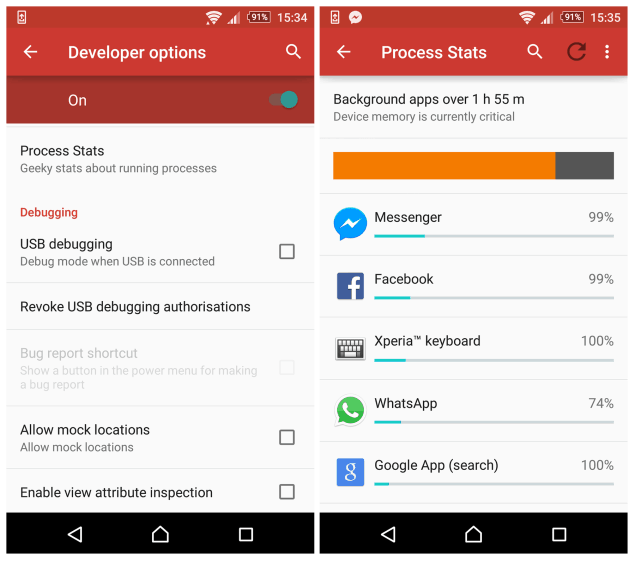 Just a few steps and you can find the top active apps consuming your phone’s memory. I’m pretty sure you’ll find your favourite apps on the top 5. But if they are slowing down your phone, then you need to kill them unfortunately. Do check this tip and let us know your views, also if you find any issues regarding the steps, kindly let us know in the comments below and we’ll guide you with that right away.